We'll show you how to watch movies from Movies Anywhere on your Movies & TV app within Microsoft Windows. Microsoft’s consumer ambitions have floated in a sort of limbo since late 2017, when Microsoft shuttered Groove Music, one of its last user-facing services. Microsoft’s move to rejoin the Movies Anywhere service is a step toward renewing customer confidence. As the name suggests, linking your Microsoft Account to Movies Anywhere will allow you to take any movie or TV show you purchased from Microsoft and play it on any other service that Movies Everywhere supports: Vudu, Amazon, Apple’s iTunes and Google Play, among others. By extension, that also means that you can view those movies or TV shows on those platform’s apps, which includes phones, PCs, and smart TVs. Microsoft also said that it will gift users a movie, X-Men: Days of Future Past, if they connect their accounts to the service. 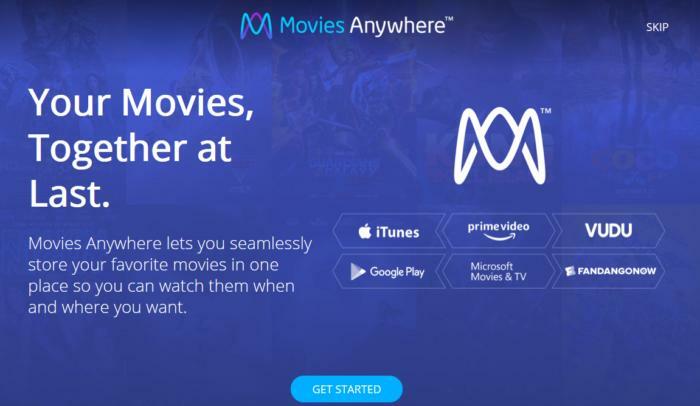 Microsoft used to be part of the Disney Anywhere ecosystem, which allowed users who had purchased any of Disney’s movies to view them on multiple platforms. But when Disney evolved Disney Anywhere into Movies Anywhere—partnering with several other studios in the process—Microsoft’s Movies & TV app stopped being supported. After that split, consumers had no real assurance that their purchased movies would be viewable outside of the Windows Movies & TV app. Worse still, with the demise of Windows phones, users were left with just one viewing method, to connect a PC to a TV to watch them. It was also uncertain what would happen if Microsoft shuttered the service entirely. All these circumstances were major roadblocks for consumers wishing to purchase a movie from Microsoft. That's changed. Now, if you visit the Movies Anywhere site, log in, and sync your Microsoft account by entering your Microsoft account login and password, all the movie and TV purchases that you made on Google Play, for example, will be available via your Movies & TV app. Better yet, if you want to watch that content, on say, a Chromecast, you can. 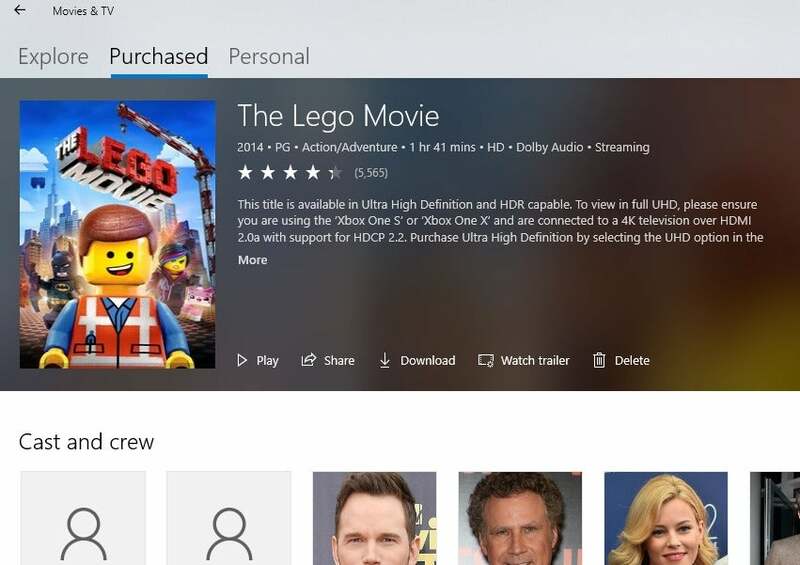 Access your purchased movies within Windows' Movies & TV app via the Purchased tab. When you see the movie, you can click on it (as shown here) for other options. The next time you open the Movies & TV app, you should see a brief notification that the app is syncing your movies. Then simply go to the Purchased tab at the very top of the app to see which movies you own and can stream. Note that if you click the movie's icon, you have the option of either streaming it or downloading it to your PC for local playback, such as on a plane. Microsoft typically offers SD, HD, and even “Ultra” options for movie purchases—the latter adds 4K and HDR features for a premium. When Yusuf Mehdi, now the corporate vice president in charge of the Modern Life & Devices group within Microsoft, told partners that Microsoft planned to win back the consumer, it was difficult to accept Mehdi’s words as more than wishful thinking. This was the company, after all, that had killed the Zune, the Microsoft Band, and Windows Phone. Rejoining Movies Anywhere probably shouldn’t be thought of as a step ahead for Microsoft’s consumer ambitions; rather, this is a case of Microsoft fixing an obvious mistake. But there’s a parallel, at least, with how Microsoft adopted Linux within Windows: Movies Anywhere is the first service that transcends (almost) all of the Hollywood studios and content platforms. Microsoft still has a ways to go. In the meantime, you’d be best served by checking Microsoft’s Movies & TV app every so often. Microsoft—like everyone else—runs specials on discounted movies and TV shows every so often. There was little incentive for consumers to buy into what was essentially a walled garden. Now, however, Microsoft has a need to bring consumers back into the fold. The bottom line: Keep your eyes open for deals.